Over the years, Cobb’s Hill has been the scene of heated RCAC baseball games. Monroe, SOTA and Douglass called the fields their home. Today, only the Silverhawks (SOTA) play games on the diamond off Culver, a picturesque venue with the lake to the right and the hill in the background. 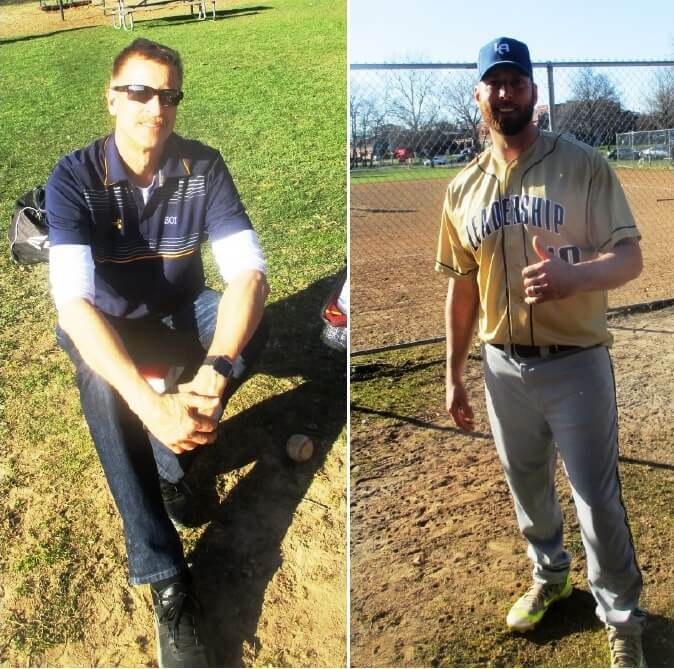 A self-described “nut job,” one of Randy Johnson’s life callings is to blow his Air Horn at the School of the Art’s baseball games at Cobb’s Hill. Seeing a chance to support his team, a year and a half ago, Randy bought the horn at the Dollar Store. At games, he positions himself behind the backstop, horn in hand, but not too close to fans who might find his tooting annoying. Randy admits his calling is unusual. He’s an Air Horn “lone ranger and a silo” who has never seen others following his lead. Randy is an outlier. Anytime SOTA does something good, Randy toots their horn. He also blows the horn if he thinks the team is losing focus: “to wake ’em up.” Would Randy ever blow if the opposition did something spectacular? Randy thinks that would be a bridge too far, but he will quietly congratulate the other team on a great play. Do Randy’s efforts actually pay dividends? He readily admits there is no way to prove whether his noise is a factor for good or ill. Does the noise spur the boys or add pressure? 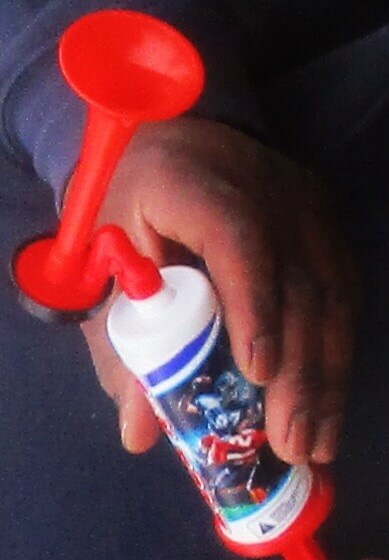 Not that such epistemological uncertainty bothers Randy the Air Horn guy who’ll toot down to the last out. By the way, Randy is a fanatical fan of Duke basketball for 35 year now. 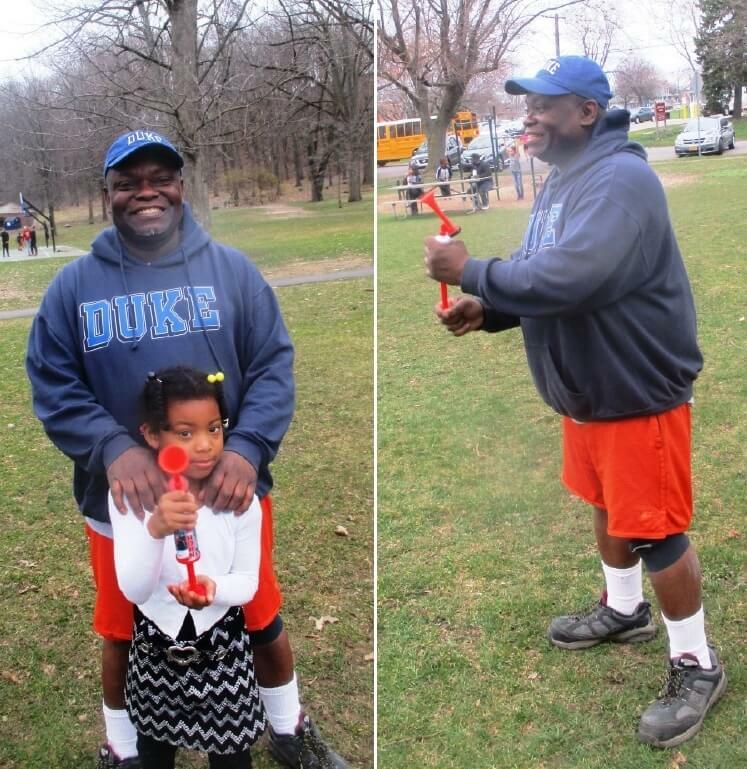 At SOTA games, Randy wears his Duke gear: hat, sweater and — as he showed me — a Duke undershirt. Yet in 35 years he’s never actually seen the Blue Devils in person. This year, Randy swears he will make a game — with Air Horn in hand. Randy had a lot to celebrate in SOTA’s 21-3 victory over Leadership Academy. At the game, I met junior Reese Correa, one of SOTA’s more versatile players (P/C/1b/OF) who made the RCAC second team in 2017. Reese wants to play ball in junior college and then at a Virginia four year school. We caught up with Reese on an impressive run around the bases and striking out batters. Reese approaching plate and drawing a base on balls. Reese reached third where his teammate hit a pop fly to the second baseman. 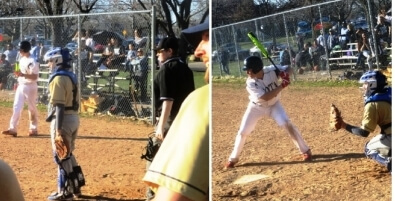 (left) Reese at second; (right) Reese at third as teammate hits pop up. Reese noticed the second baseman stumbled making the catch. Tagging up, Reese beat the throw handily, scoring on a rare infield pop up. 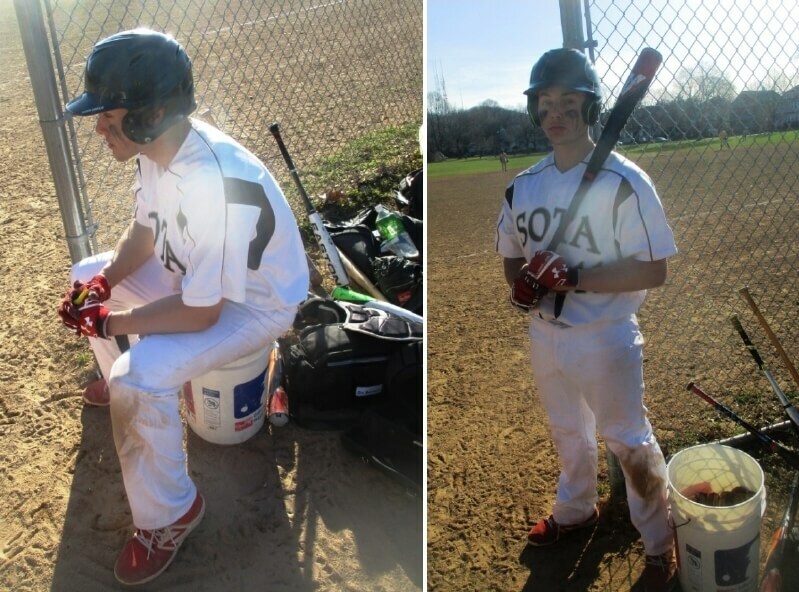 (left) Reese scoring; (right) Reese pitching. After the game, Reese said he made the heads up play on his own, without the urging of the third base coach. Reese just wanted to be aggressive. The inning after that, Reese took the mound and racked up some K’s. I wasn’t focused on the Air Horn at that point, but no doubt Randy was tooting. (left) SOTA’s athletic director Dave Mickelson; (right) Leadership’s head coach Dave Sackett. As usual, SOTA athletic director Dave Mickelson attended, rooting if not tooting on the team. The game was also opening day for Rick of Rick’s Books on Monroe Avenue. 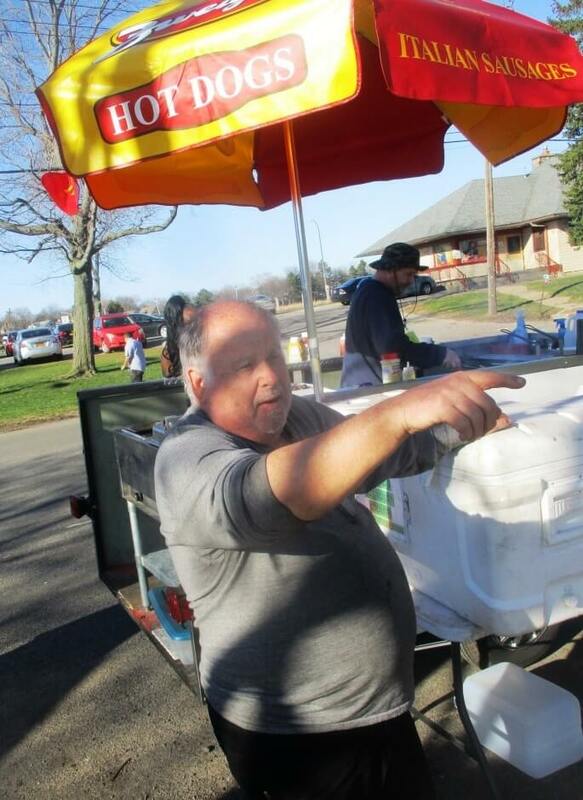 When not peddling tomes, Rick peddles dogs, and he fed quite a few ball fans.